This entry was posted in 2015 Press: reviews / interviews / features, literary fiction and tagged #9/11novel, literary fiction, literary fiction award, literary fiction book review on June 13, 2016 by VN Alexander. The Permanent Press, which will be publishing my novel Locus Amœnus, announced its 2015 titles today. I am pleased to find myself among some very talented writers. 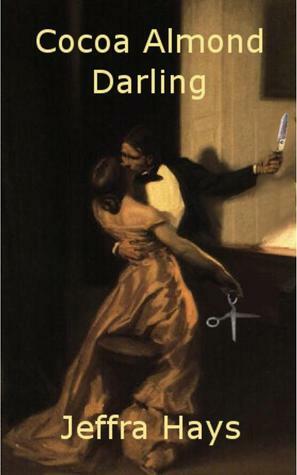 I am also happy to discover that several of the sixteen novels on the list have anti-war themes; one takes on drone warfare, another economic disparity; a couple of them are pretty quirky; one even invokes Hamlet, as mine does. This entry was posted in literary fiction, politics and tagged 9/11, anti war, literary fiction, literary fiction award, NDAA, victoria n. alexander on July 16, 2014 by VN Alexander. Because we were unable to give awards in 2011 and 2012, due to lack of qualifying entries, we decided to give two awards in 2013. 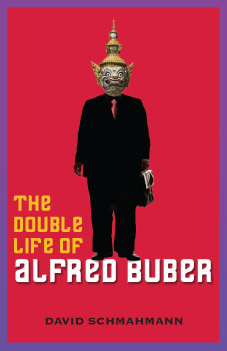 The first award goes to The Double Life of Alfred Buberby David Schmahmann, which was reviewed by top DR reviewer Charles Holdefer. The second award goes to Cocoa Almond Darling by Jeffra Hays, which was reviewed by Peter Bollington, also a top DR reviewer, and VN Alexander, DR editor. Both authors receive a $1000 prize. Congratulations to David and Jeffra for their fine work. This entry was posted in literary fiction and tagged book review, literary fiction, literary fiction award on December 28, 2013 by VN Alexander. This entry was posted in literary fiction and tagged amazon.com, book review, literary fiction, literary fiction award, POD, print-on-demand, self-publishing, small press on December 20, 2013 by VN Alexander. This entry was posted in literary fiction and tagged best novel award, book review, literary fiction, literary fiction award, new novel award, print-on-demand, self-publishing, small press, why we read fiction, writing award, writing contest on December 4, 2013 by VN Alexander. 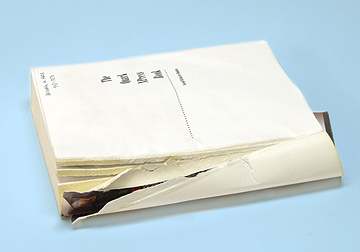 Literary fiction is often linguistically difficult, or unusual, in the way that poetry is. It often contains unfamiliar words or supports political, ideological, religious positions that are not widely accepted. It subverts sentimentality. It makes people think. This entry was posted in literary fiction and tagged anti-intellectualism, booker prize, jon banville, literary fiction, literary fiction award, martin amis, what is literary fiction, why we read fiction on November 23, 2013 by VN Alexander. This entry was posted in literary fiction and tagged how to write a book review, literary fiction, literary fiction award on October 2, 2010 by VN Alexander. Victoria N. Alexander, Ph.D., is a literary fiction novelist, writing about censored and controversial subjects with audacity, humor, and compassion. Her honors include the Washington Prize for Fiction (Smoking Hopes) Dallas Observer‘s “Best of 2003” (Naked Singularity) and the Literary Fiction Book Review award (Locus Amoenus). Her latest novel, Locus Amoenus, was also a Dayton Literary Peace Prize nominee. Her fiction is published by The Permanent Press. Alexander is also a philosopher of science, author of The Biologist’s Mistress: Rethinking Self-Organization in Art, Literature and Nature. She is a Rockefeller Foundation Bellagio Center alum, former Public Scholar for the New York Council for the Humanities, and a director at the Dactyl Foundation, working on emerging concepts in science and encouraging interaction between the sciences and the arts. She serves on the editorial boards of Biosemiotics journal (Springer Publishing) and Meaning Systems book series (Fordham University Press). Her work in saltational evolutionary theory appears in Fine Lines: Nabokov’s Scientific Art, published by Yale University Press, which has received much praise from major international publications. She is currently serving a three-year term on the Fulbright Specialist roster as an expert in Nabokov’s theory of mimicry. See full CV. Free Range Humans: What Makes Good Government?